Sometimes when you install Exchange, you want to allow users to use their e-mail addresses as a login name. Most of the time UPN suffixes are not usefull. For example you have internal name for domain “company.corp”, but your e-mail addresses are “username@company.com“. 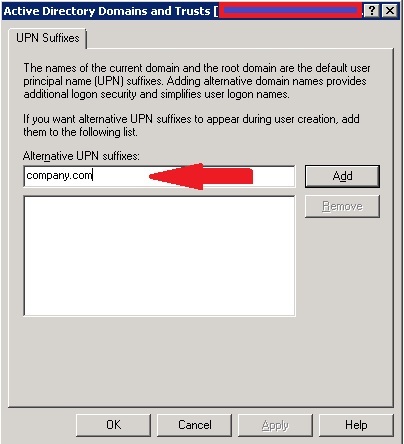 You want to give an option for users to log into OWA using “username@company.com” instead of “company.corp\username”.